“On cooler planets, oxygen could be a sign of alien life and habitability. But on a hot planet like GJ 1132b, it’s a sign of the exact opposite – a planet that’s being baked and sterilized,” said Schaefer. Since water vapor is a greenhouse gas, the planet would have a strong greenhouse effect, amplifying the star’s already intense heat. As a result, its surface could stay molten for millions of years. A “magma ocean” would interact with the atmosphere, absorbing some of the oxygen, but how much? Only about one-tenth, according to the model created by Schaefer and her colleagues. Most of the remaining 90 percent of leftover oxygen streams off into space, however some might linger. 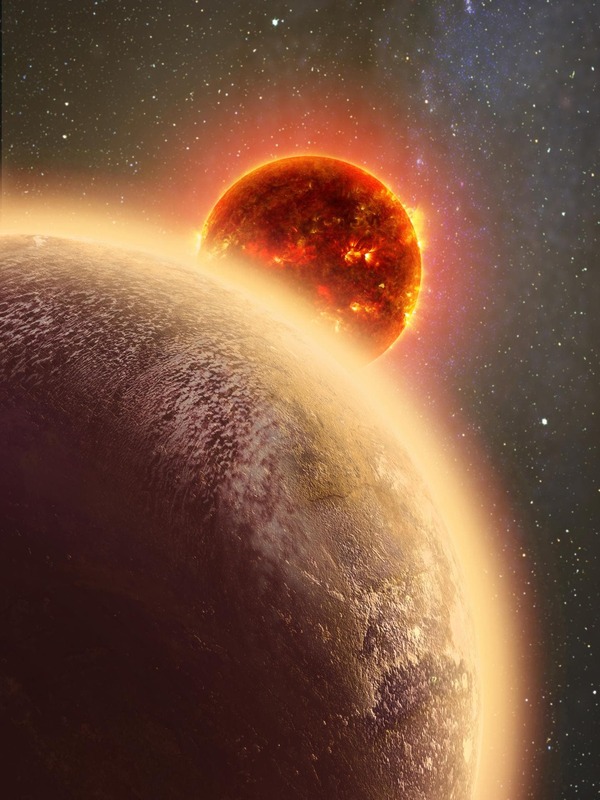 “This planet might be the first time we detect oxygen on a rocky planet outside the solar system,” said co-author Robin Wordsworth (Harvard Paulson School of Engineering and Applied Sciences).